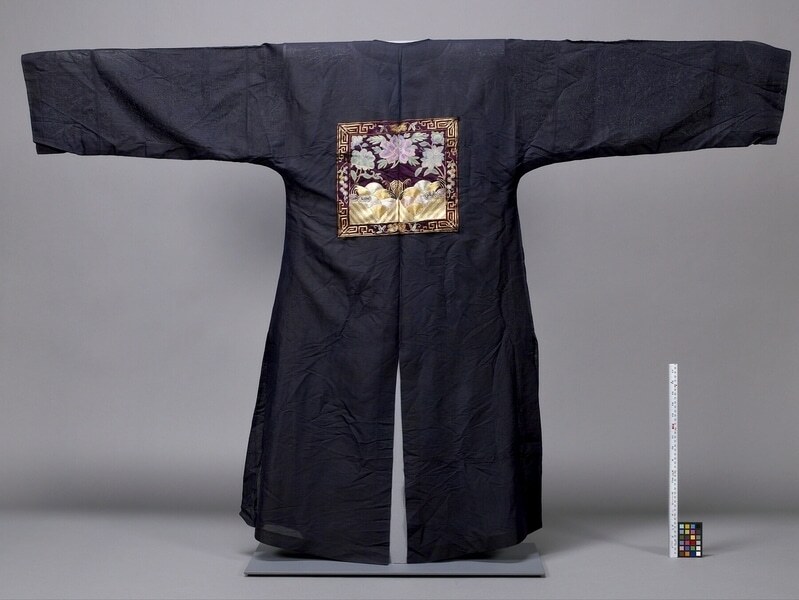 Black damask robe with rounded neck, wide sleeves and centre opening with frog closures. There are slits in the sides and back. The damask is woven containing large roundels with dragon and floral motifs. On the upper front and back is a large rectangular badge. 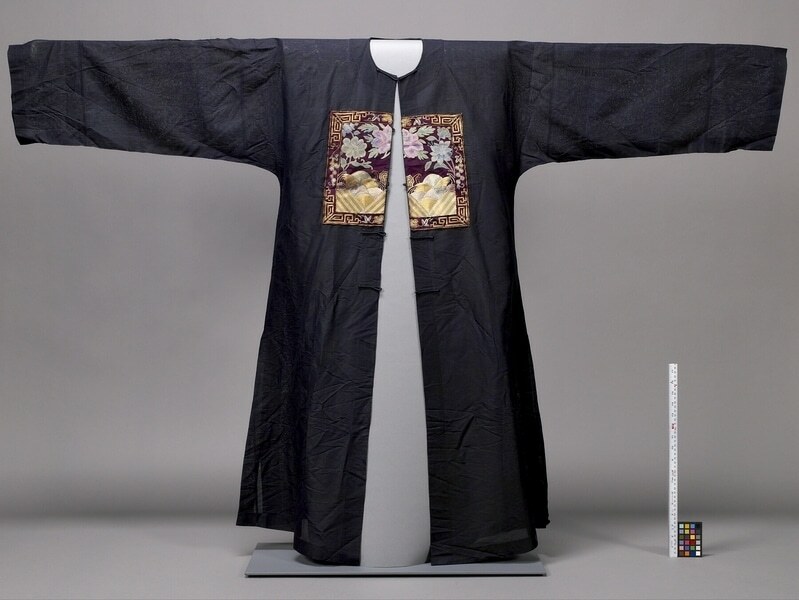 The badge has wave, mountain and peony motifs in purple, blue, green, gold and silver. Around the badge is a gold meander border. On the front, the badge is split in two over the centre opening.